It will take some time to get used to your new dentures. Fortunately, you don't need to sacrifice comfort for a great new smile. These tips will help you adjust to life with a new set of dentures. Like braces, your dentures will feel like a foreign object at first. It may even seem embarrassing to learn how to speak or eat naturally while wearing them. As you become accustomed to speaking and eating, patience is key. According to the American Dental Association (ADA), it is not unusual to experience minor soreness after getting new dentures. Attending scheduled follow-ups to re-adjust your dentures can help relieve some discomfort in the meantime. Also, consider taking out your dentures every four hours or so as your gums and jaw are still getting used to them. With your new dentures, try singing along to your favorite music during the day. Techniques like singing smooth, fluid phrases at slower rates can help you get used to forming certain words more easily so your dentures won't feel like a hindrance. Dental discoloration is an issue that affects millions of people. Even if you brush and floss after every meal the passage of time, aging and environmental factors can still cause discoloration of your teeth. You can use various methods in order to bleach your teeth into whiteness, from in-office whitening to home-use methods like bleaching trays and whitening strips. The cheapest methods you can use is mouthwash and whitening toothpaste (with fluoride) to simply brush the food stains away or you can go the laser teeth whitening route instead. This in-office teeth bleaching technique will make your teeth shine brighter in just one dentist visit. Stains can be effectively eliminated with the assistance of in-office laser and bleach whitening services that bleach your teeth white, eliminate stains, and reveal a naturally white smile. 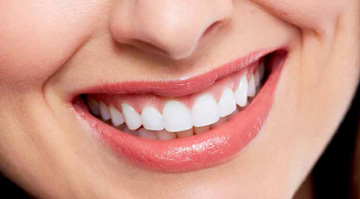 The act of laser teeth whitening involves putting in a bleach and hydrogen peroxide gel over teeth (while protecting the gums and mouth with a dental dam) then shining a laser pen over the teeth to activate the bleaching process, resulting in amazing teeth whiteness when all is said and done. Which Laser Whitening Service Should You Get? Bleaching Gel Safety Concerns: Some of these products are so potent they could damage the structure of your teeth. They can immediately whiten your teeth, but keep in mind that bleach and hydrogen peroxide are powerful substances that can melt and decay the tooth. This can cause complications like teeth sensitivity and brittleness. It’s important to know your options when it comes to enhancing the appearance of your teeth. For many of our patients, dental bonding provides an easy and relatively inexpensive way to correct minor issues such as chipping and discoloring, giving them a smile they can be proud of. Dental bonding is one of the most common and least expensive of cosmetic dentistry procedures. Another advantage to bonding is that compared to veneers and crowns, it requires little to no removal of tooth enamel. Most procedures involving dental bonding also do not require anesthesia. It’s important to note that the material used in dental bonding is not as strong as your real teeth, so biting on fingernails or chewing on pens can actually chip the dental bonding material. Many patients forget that dental bonding only lasts a few years before it needs to be repaired and is not as strong as other restorative procedures, such as crowns and veneers. It is also not as stain resistant. There are some limitations to the restorative impact that bonding can have, so we often recommend this option for small cosmetic changes, for temporary correction of cosmetic defects, and for correction of teeth in areas of very low bite pressure that often occurs at the front of the mouth. Our team will provide a full assessment to help you determine whether dental bonding is the best solution for you.